Abstract—An improved ensemble particle filter (EnPF) algorithm combining the advantages of ensemble Kalman filter (EnKF) and particle filter (PF) is proposed for the nonlinear target tracking system. Two independent ensembles are adopted, one ensemble is handled by EnKF first, then the analysis ensemble produced by EnKF and another ensemble is used to generate proposal distribution which approximates the true posterior distribution more accurately, finally PF is executed to track the target based on this proposal distribution in the nonlinear target tracking system. Simulation results show that the improved EnPF can increase the stability of the tracking system and provide better tracking precision without increasing the computational complexity. Index Terms—Target tracking, ensemble particle filter, proposal distribution, nonlinear. 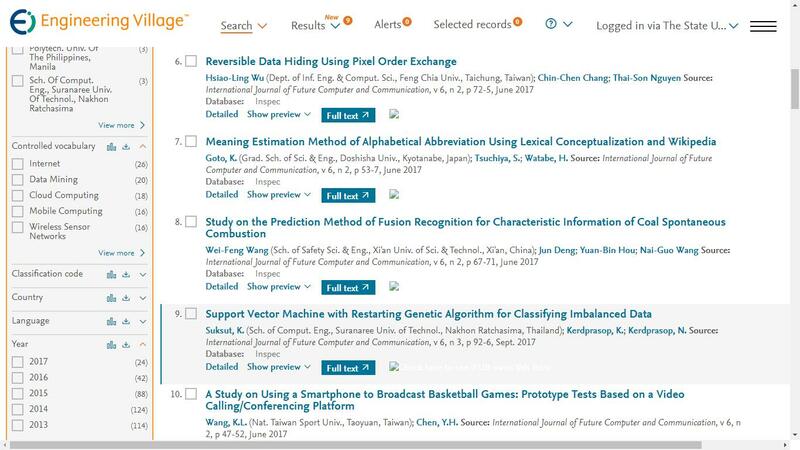 The author is with School of Information Science and Technology, Southwest Jiaotong University, Chengdu 611756, China (e-mail: bcui@swjtu.edu.cn). Cite: Bo Cui, "Nonlinear Target Tracking Algorithm Based on Improved EnPF," International Journal of Future Computer and Communication vol. 5, no. 5, pp. 205-209, 2016.